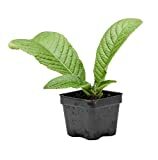 Streptocarpus growing herbaceous leaf plant of the genus Streptocarpus also known as Cape primrose or Nodding violet, African violet perennial evergreen used as ornamental plant, can grow in tropics climate or as house plant and growing in hardiness zone 12b+. Leaves color green in oval shape, the leaves grow in rosette structure. Flower color can be: blue, pink, red, white, purple or multi-color, the flowers have five petals, flowers grow on stems in clusters.